Address : 342 High Road, Chilwell, Nottinghamshire, NG9 5EG. 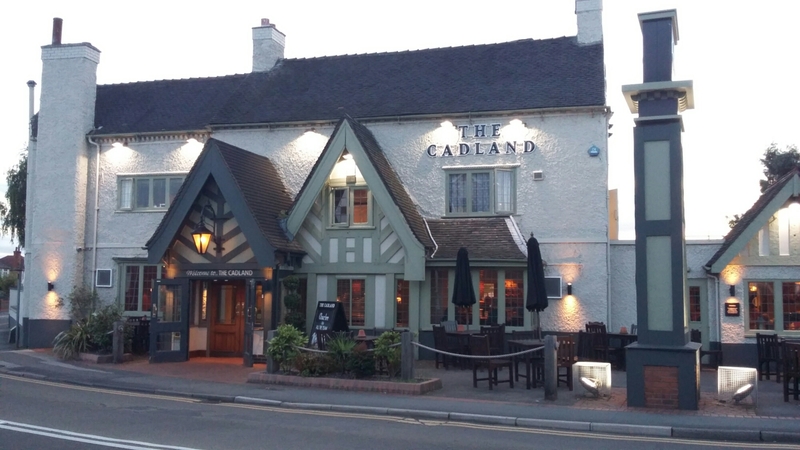 The front of the Cadland has the appearance of a Grimm Brothers fairytale – and you might baulk at the prospect of a chain pub (run, in this case, by Ember Inns). But bear with, because inside reveals a sprawling bar and a good choice of real ales. At least three are usually on tap at the bar – but if you’re lucky, up to six – including a good collection of guest beers. There is a nearby rival – the Charlton across the road – but we think the Cadland has the edge in providing a better welcome and a nicer atmosphere. Music? Background tunes played at a modest volume. Food? A wide ranging pub grub menu with weekly specials and occasional theme nights. People? Mainly a local pub – but attracting visitors thanks to its handy place right on a 24 hour bus route. Opinion? The Cadland’s well worth a trip out of town – and could be combined with a wider pub crawl around Beeston. Staff are friendly and welcoming – and if you’re lucky you might win the twice weekly quiz.